With over 2400 mainstream cryptocurrencies under its hood, CoinTracker.io is breaking the stereotypes by becoming a leading portfolio and tax manager application. The application maintains a dedicated and unified dashboard that offers a commendable auto-sync transaction feature and further presents your portfolio’s performance in a most concise manner. We're using CoinTracker ourselves and feel that it's the best portfolio tracking app out there. There comes a time for crypto users when they are required to access features such as tax filing, CoinTracker.io can help you do that as well. The application has made its name in the market for unparalleled features such as historical data, market caps, tracking prices and much more. CoinTracker.io is your best option when it comes to tracking crypto ranging across different exchanges and even the wallets. 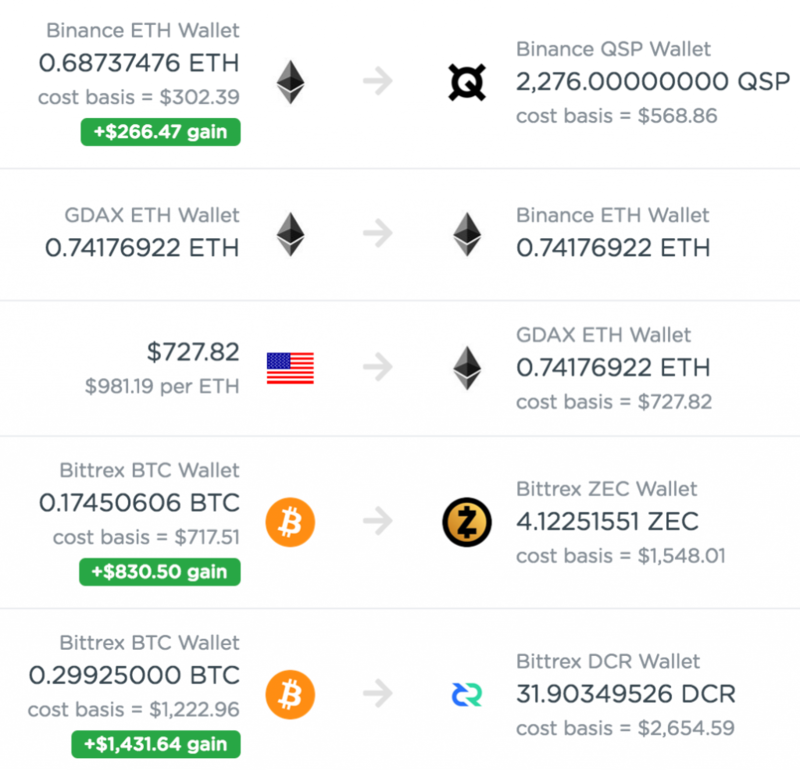 The wallet works by connecting the same to the CoinTracker’ an original web account. Till this date, the platform derives its data and supports 13 major crypto exchanges such as Bitstamp, Poloniex etc. What comes as an added feature is that potential crypto traders can even add any public address to any wallet, CoinTracker.io tool will read the balance and will provide you with updated information and that too in the real-time. When it comes to adding coins from a non-exhaustive list of 2000 coins, you can do this task manually and can also keep a track record of the value. As an experienced crypto trader, you can unlock a booming feature of tracking cost basis and capital gains for your portfolios without any extra effort. 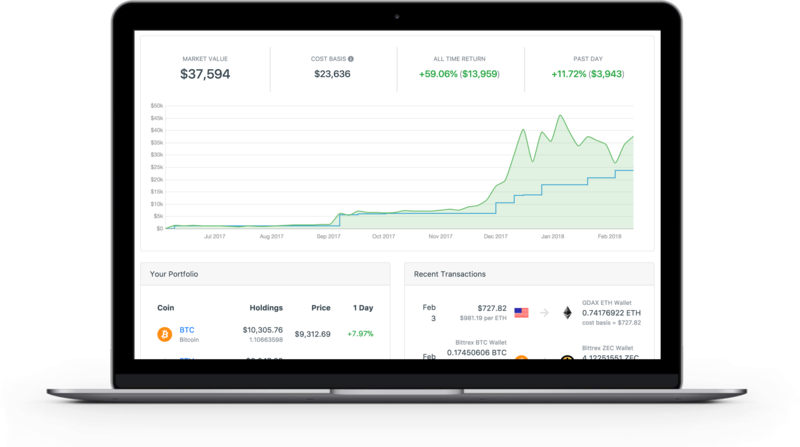 CoinTracker.io has over 9 years of historic crypto related data in their database and they are currently catering over 300,000 active users on regular basis. Apart from major 2400 altcoins, you can dive deep in the absolute coin database of over 6300 total altcoins. The platform can be your partner when it comes to generating real-time reports on profit as well as the loss while keeping a check on the trades you’re making. Also, one can even understand and know the realized and unrealized gains better with CoinTracker.io. Calculation of key indicators can be done with the help of this application. Charts for trades and coins generated by CoinTracker.io are pretty informative and encompass a higher degree of understanding of the market. With the help of CoinTracker.io, you can gain an upper edge by leveraging capital gains reports about any crypto. Also, one can even perform LOFO, HIFO, FIFO, and LIFO tax calculations with the aid of this application. The platform has kept in mind the tax and account requirements of all countries and thus, there are variable parameters that can be adjusted to ease the operations. Also, there is a unique feature with the name of trade importer. You can easily get access to CSV reports which are deduced from over 40 mainstream crypto exchanges around the world. Also, as a user, you can enable automatic imports of CSV reports by making use of APIs. Trade importer feature has been directly synced with the blockchain by CoinTracker.io. Looking forward to experimental Bitcoin forecasts? Well, CoinTracker.io does that just fine.